Hi there! Thank you for all of the information!! Today I was finally able to find what has been plaguing me and my cats!! I scratched the kittens head and I noticed that her dandruff was moving! I realized through google that its “rabbit fur mites” or cheyletiella!! Now I am NOT glad to have this… as it sounds like and has been a real pain, but I am relieved to finally know what this invisible monster is!! Do you have any advice??? The disease caused by rabbit fur mites (aka: Cheyletiella Mites) is also called “walking dandruff”. It got the name because if you closely observe the infested animal, you may be able to see what looks like “crawling dandruff” on the skin. This movement is actually the mites moving about. Rabbit fur mites are found throughout the United States and typically use rabbits, dogs and cats as hosts. They usually won’t cause significant disease but once identified, treatments to control the problem should be initiated to prevent pet discomfort. What is the life cycle of rabbit fur mites? Female fur mite will first lay eggs on the host animal. Eggs hatch larvae which develop into nymphs and then adults. This cycle will generally take 3-4 weeks. How are fur mites contracted? The adult fur mite will migrate from animal to animal. This can happen when one lays with a pet, combs them or just pets them. Animals transfer mites during common contact. Also, female fur mites can live for days off hosts so its possible for animals to become exposed out in the yard or common area other animals use. And like fleas, hatching eggs in pet bedding or common areas can find new animals on which to live. What are walking dandruff symptoms? Fur mites cause skin irritation, itching and will generally focus on the back of the host animal. These are the first signs. Infested animals can experience some hair loss, dandruff, scale like skin hardening and a constant itching sensation which will happen after a week or two of activity. Rabbits and cats are slow to show signs until it gets bad; dogs and people will show symptoms quickly. How is a fur mite infestation identified? Mites can be seen on the animal when using a magnifying glass. Look for excessive dandruff, loose hairs and scrapings of the skin. Place these under a microscope and adult mites can usually be seen moving about in the material. What is the treatment for fur mites? Fortunately fur mites are easy to control both on the pet and in pet bedding. For puppies, kittens and rabbits under 12 weeks of age, shampooing with MELALUCA will help. This will rinse away organic material fur mites require as well as remove a lot of mites. Melaluca will also soothe the skin and provide relief to the infected animal. Its gentle enough to use daily if needed until the animals are over 12 weeks and can be treated with the stronger products listed below. For rabbits, cats and dogs over 12 weeks, treat them with PETCOR. 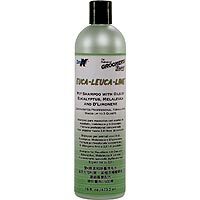 This product can be sprayed on the animal, brushed on with combs or brushes or wiped on with a rag or cotton ball. Petcor is commonly used for fleas and ticks but works well on fur mites. It will kill adults and hatching larvae and should be used at least once a week when activity is noted. 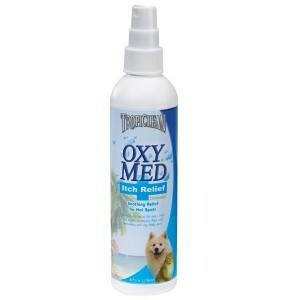 If the pet is suffering due to prolonged biting from the mites, use OXY MED to relieve the itching and promote healing. Oxy Med can be used as often as needed during the “curing” process and will not interfere with Petcor treatments. Pet bedding should be washed and before replaced, all flooring in the cage, room and home should be treated with BEDLAM PLUS. Commonly used for bed bugs, Bedlam works great on all types of mites. It will kill adults and prevent eggs from developing. Use it once every 2 weeks when activity is noted; every 2-3 months to make sure the fur mites don’t come back. Use one can for every 1500 sq/ft of flooring. Fur mites are nasty and uncomfortable for infected animals. But treatments with the products above will provide quick results and keep them away for good.